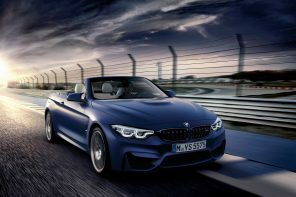 Originally shown in the high output BMW M4 this week at BMW’s Innovation Days, the company took the wraps off of a scaled down version destined for MINI’s three and four cylinder engines. The principle is relatively simple – cooler temperatures allow for higher output without sacrificing MPG. But the details are pretty interesting. The cooling effect triggered by direct water injection likewise imbues this unit with substantially increased performance and efficiency. Plus, fuel consumption is reduced when pushing the engine. The boost to efficiency is therefore significant – especially when the driver adopts a sportier style – and average fuel economy under everyday conditions benefits accordingly. Added to which, direct water injection reduces thermal stress on numerous engine components and minimizes emissions. Most of the following release is dedicated to the M4’s prototype water injection. 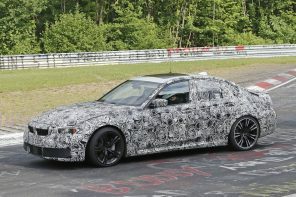 However sources are telling us that BMW is looking at this tech to bring slightly more performance while measurably decreasing consumption in its 1.5 and 2.0L three and four cylinders. The difference being that most of the water is injected directly into the combustion chamber, rather than just into the intake manifold for the smaller engines. It’s unclear what BMW and MINI’s time-frame is on production but it’s safe to say given BMW’s track record of showing technology at its Innovation Days, it will hit the market within five years. 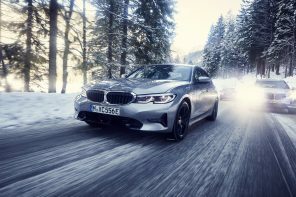 Official Release: With direct water injection for turbocharged petrol engines, the BMW Group has again succeeded in enhancing the capabilities of conventional engine technology through an ongoing process of refinement and improvement. The precisely controlled injection of water into the engine cylinders produces a cooling effect that boosts power and torque, particularly when operating at or near full throttle, while at the same time reducing fuel consumption and emissions. Water injection made its debut in a modern-day BMW Group engine under the bonnet of the BMW M4 MotoGP Safety Car. Designed by BMW M GmbH – on the basis of the M4 high-performance sports car – for use in the world’s top motorcycle racing series, it is powered by a modified version of the high- revving M TwinPower Turbo six-cylinder in-line engine that already develops maximum output of 317 kW/431 hp and peak torque of 550 Nm/405 lb-ft (combined fuel consumption: 8.8–8.3 l/100 km; combined CO2 emissions: 204–194 g/km) in the standard BMW M4. BMW M4 MotoGP Safety Car with extra power, torque and efficiency for its duties on the race track. The BMW Group Innovation Days 2015 event marks the first presentation of this innovative technology in a prototype of a model from the BMW core brand powered by a latest-generation three-cylinder petrol engine. In this version of the system, most of the water is injected directly into the combustion chamber, rather than just into the intake manifold. In the prototype, which is based on a 5-door BMW 1 Series model, direct water injection offers an optimised balance between driving pleasure and fuel consumption in keeping with the principle of Efficient Dynamics. Cooling effect enhances efficiency: up to ten percent more power, up to eight percent better real-world fuel economy. Direct water injection allows the potential of turbocharging to be harnessed even more effectively. The water is injected as a fine spray into the intake manifold plenum chamber where it evaporates, extracting energy from its surroundings and reducing combustion temperatures in the engine by around 25° Celsius. Efficiency: the cooling effect provided by water injection reduces temperatures sufficiently to avoid any need to inject additional fuel when operating at or near full throttle; the homogenous fuel/air mixture and improved full-load efficiency allow real-world fuel economy to be improved by up to eight percent. Emissions: reduced combustion temperatures lead to lower emissions. Reduced knock: lower temperatures reduce the risk of uncontrolled combustion (knock). Higher compression ratio: the reduced knock risk allows the compression ratio of the prototype model’s three-cylinder engine to be increased from 9.5:1 to 11.0:1, optimising efficiency in the low and medium throttle range too. Performance: the earlier ignition point and higher boost pressure improve engine power and torque by up to 10 percent; the increased oxygen content of the cool induction air boosts power, too. Fuel compatibility: power output is optimised even when operating on low-octane fuel (RON 95); turbocharged engines with direct water injection can therefore be used anywhere in the world. Thermal load reduction: the cooling effect reduces the thermal load on pistons, valves, catalytic converter and turbocharger. The benefits of direct water injection cooling can be utilised in various ways. Depending on vehicle type and engine, it is possible to prioritise either increased power or enhanced fuel economy. On-board water recovery ensures everyday practicality. The water injection system in the BMW M4 MotoGP Safety Car draws water from a five-litre tank in the boot. Under grueling race conditions, when the vehicle spends a lot of time operating at full throttle, the water tank is topped up every time the vehicle is refueled. By contrast, the direct water injection system destined for future production models that is being presented at the BMW Innovation Days never requires topping up in everyday use. Unless the vehicle is operated in exceptional climatic conditions, the system is fully self-replenishing, thanks to on-board water recovery. With decreased combustion temperatures with h20 injection I would think that BMW would be able to reduce the duty cycle of the EGR valve to help prevent carbon build up in the direct injection engines.